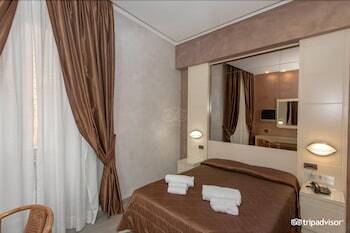 With a stay at Hotel Patria in Rome (Repubblica), you'll be minutes from Piazza della Repubblica and Teatro dell'Opera di Roma. 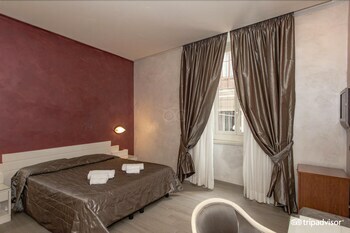 This hotel is within close proximity of Santa Maria della Vittoria and Palazzo Barberini. 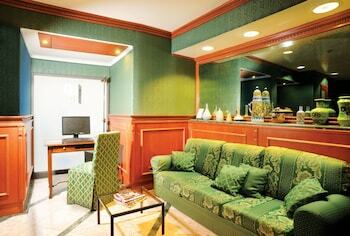 Make yourself at home in one of the 49 air-conditioned rooms featuring refrigerators and minibars. 19-inch flat-screen televisions with cable programming provide entertainment, while complimentary wireless Internet access keeps you connected. 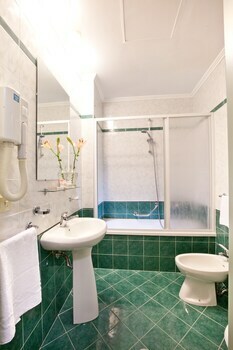 Private bathrooms with shower/tub combinations feature bidets and hair dryers. 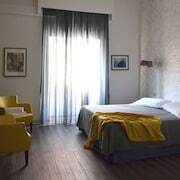 Conveniences include phones and safes, and you can also request rollaway/extra beds (surcharge). Enjoy a bite to eat at a coffee shop/cafÃ©, or stay in and take advantage of the hotel's room service (during limited hours). Quench your thirst with your favorite drink at a bar/lounge. 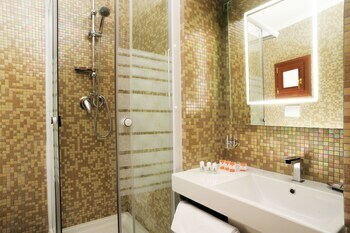 Featured amenities include limo/town car service, express check-in, and complimentary newspapers in the lobby. Self parking (subject to charges) is available onsite.